This time we reinvented the line-tracking sensor. Beyond recognizing two specific colors or output through digital or analog only, the Smart Gray Sensor has integrated both digital and analog output features. In digital mode, user can have two color data recorded through simple button operation, to achieve two-color detections with high and low outputs, and requires no more configuration after being set. In analog mode, the output value reacts precisely to the color grayscale detected. Apart from being a stable and adaptative sensor in various environments, the Smart Grayscale Sensor also demonstrates a great potential in low-cost projects of color, grayscale and adjacence lights. Just short click the button and the mode will be changed between analog and digital. In analog mode, the brighter the Sensor detects, the brighter LED will be. 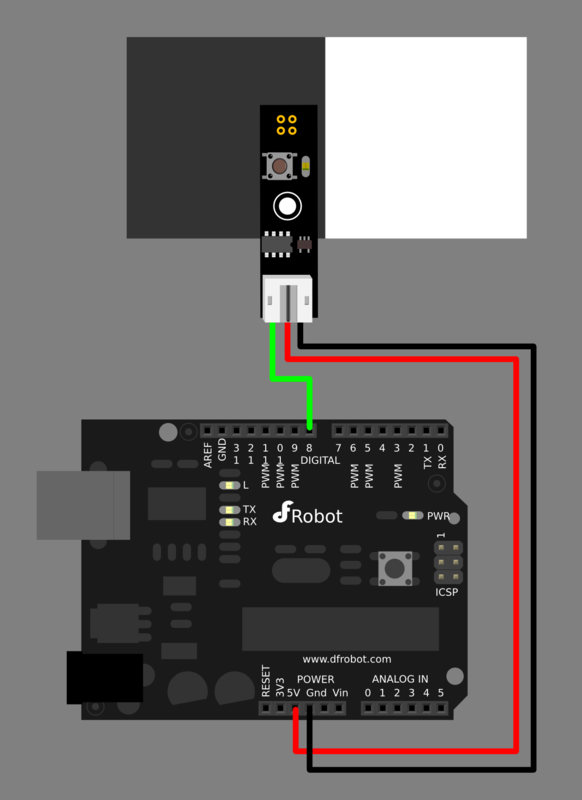 You can connect the sensor to analog pin to read the Grayscale from the sensor, just as the normal grayscale sensor. In digital mode, you can set the logic of two different color by your own. 1. Long click the button until the LED slow blinking (which means first color detecting ready). 3. 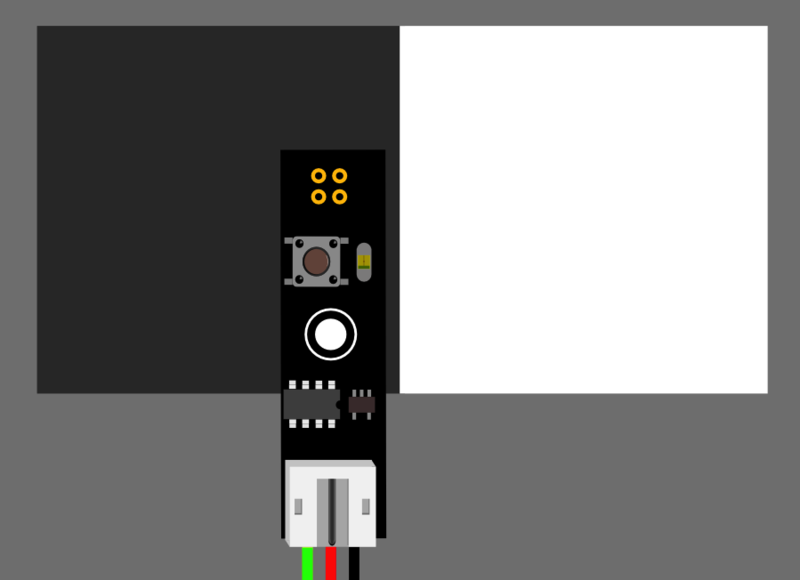 Meanwhile short click the button and the LED gets dark (which means first color detected). 4. Short click the button and make the LED fast blink (which means second color detecting ready). 6. 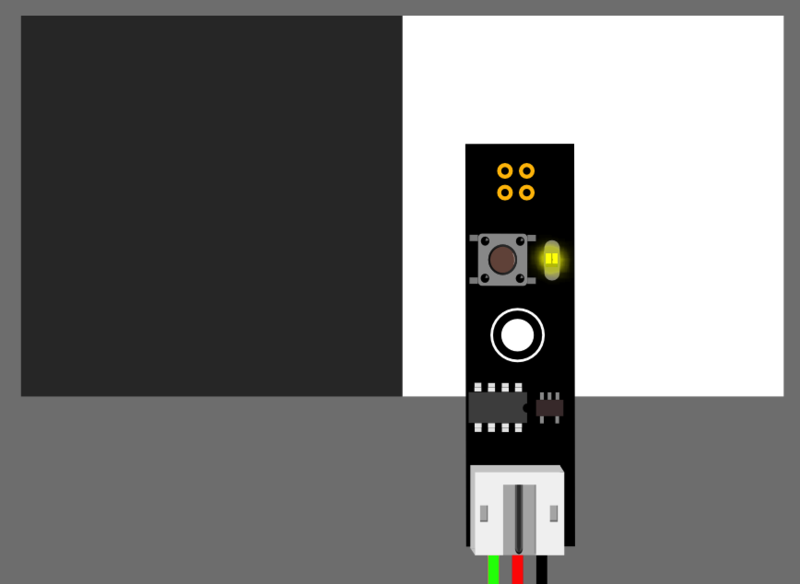 Meanwhile short click the button and the LED gets dark (which means second color detected). 7. The first color (such as white paper) will be Logical '1', and the LED becomes bright. 8. The second color (such as black paper) will be Logical '0', and the LED becomes dark. 9. This setting maintains even if the power is off, so for one purpose, one setting is enough. 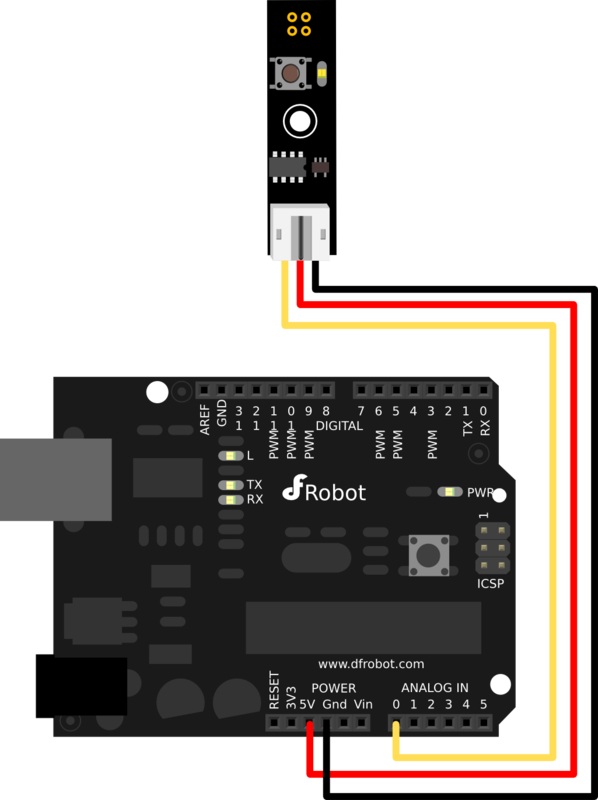 Get Gravity: Smart Grayscale Sensor from DFRobot Store or DFRobot Distributor.